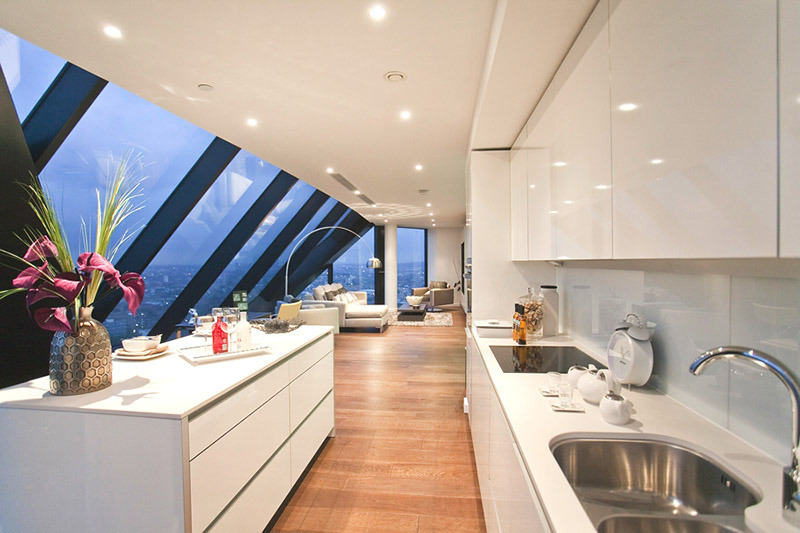 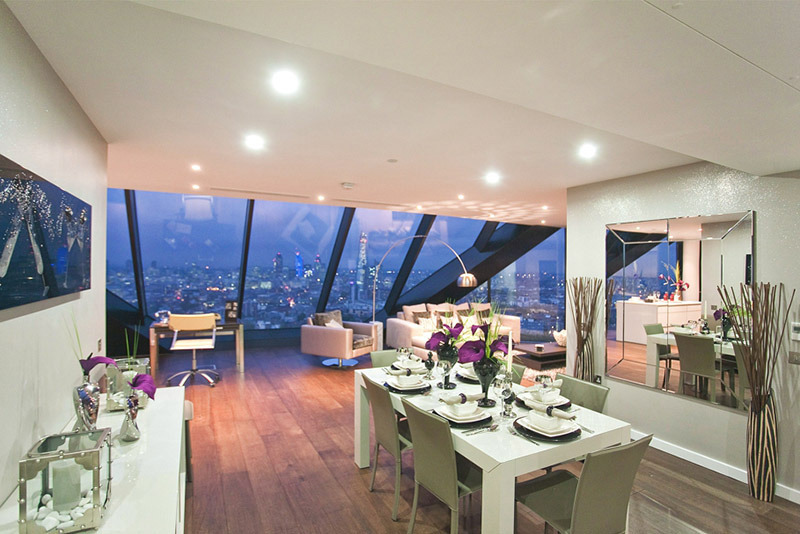 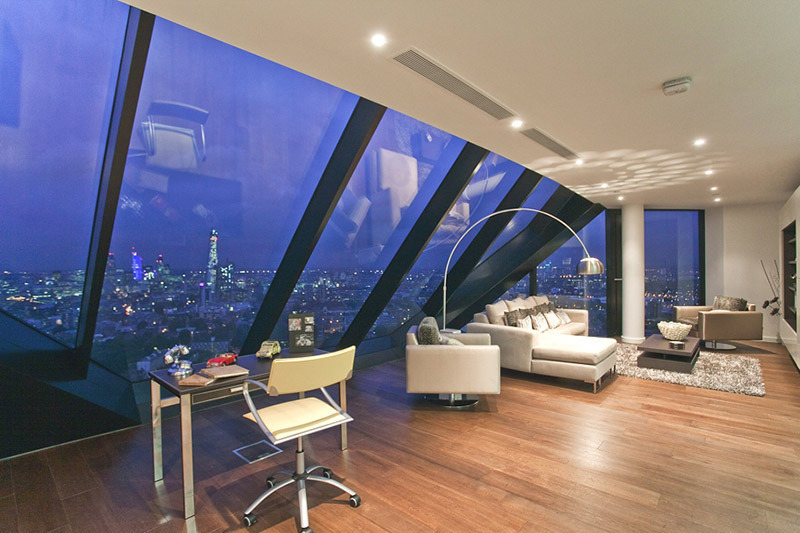 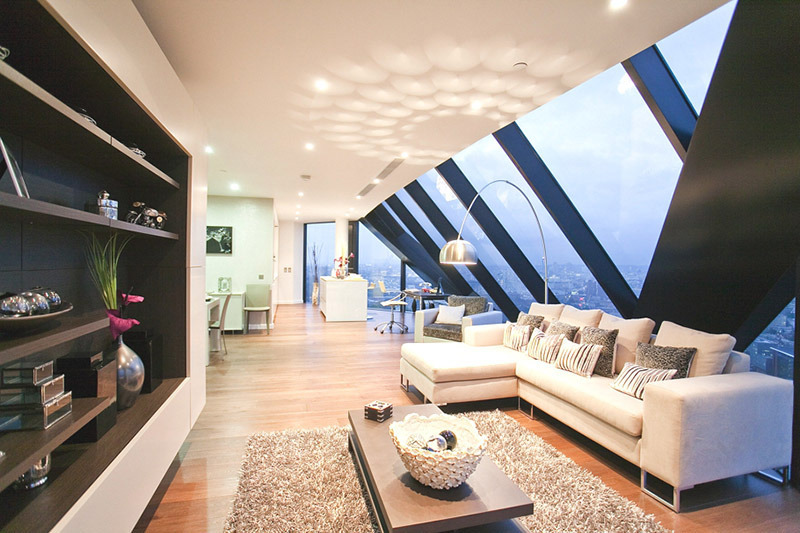 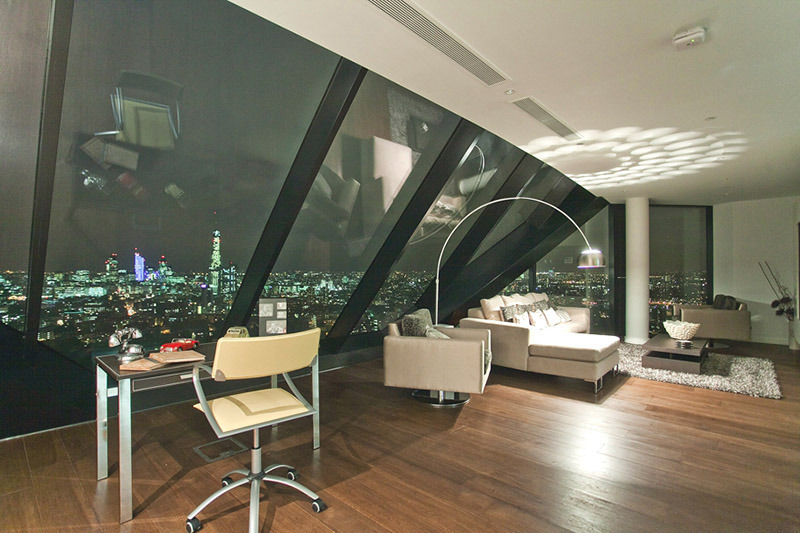 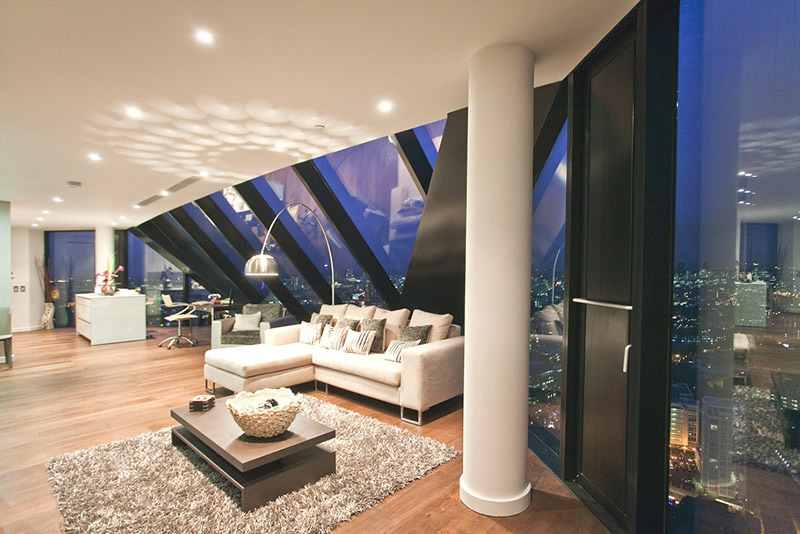 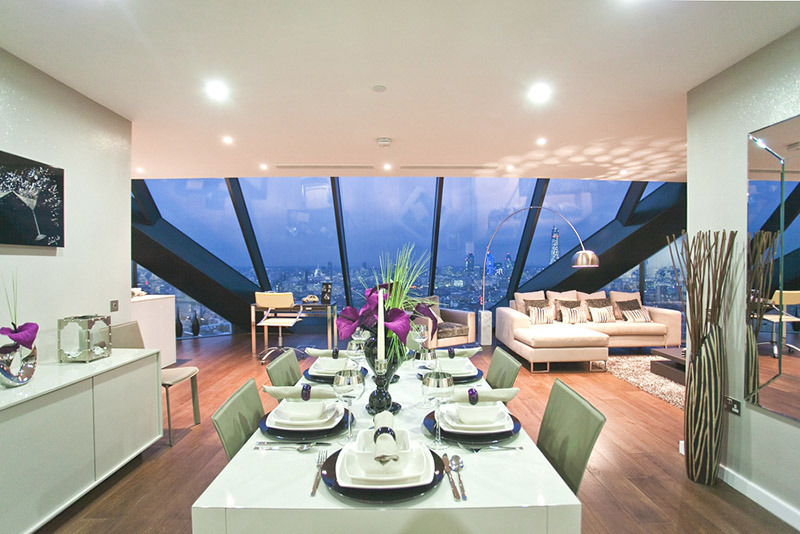 This penthouse basks in natural light and a stunning panorama of London all day and night, thanks to its open floor plan where the breathtaking city skyline floods the interiors with an ever-changing charm. 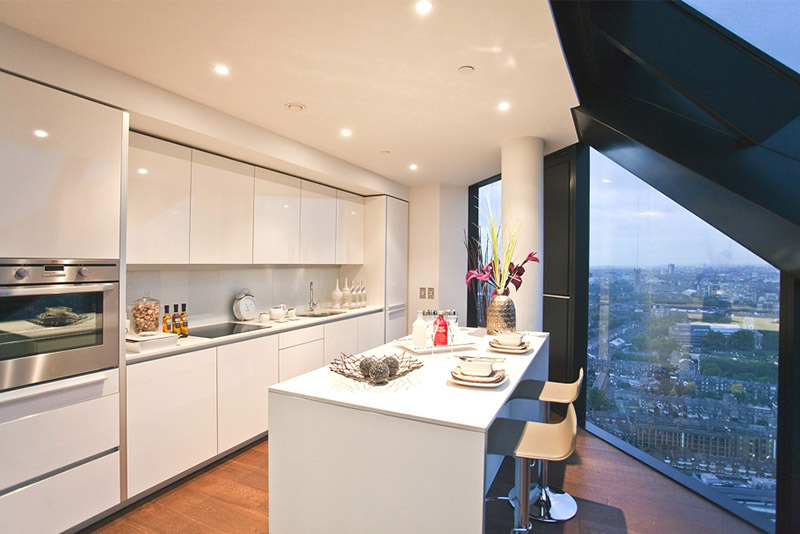 From high up, you can see the Houses of Parliament, Tower Bridge, Canary Wharf, St Paul’s and the Olympic Stadium, while cooking, eating dinner and having a relaxing time in the fabulous, 148-meters, open apartment. 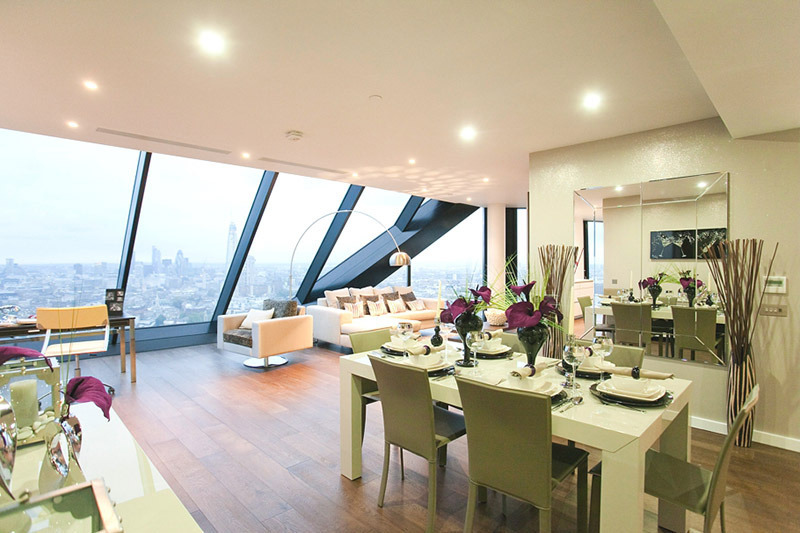 A spacious entrance hall guides your steps to the open-plan dining space with a kitchen tucked underneath expansive slanted windows. 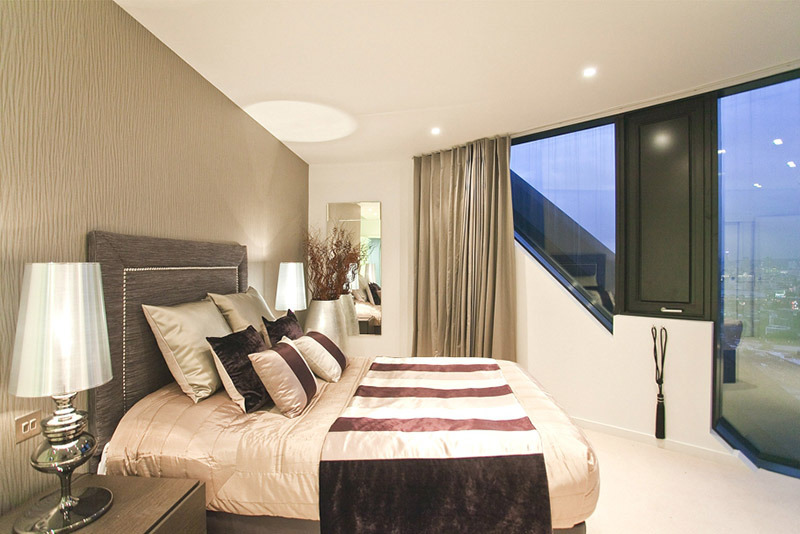 Two bedrooms, an en suite shower room and a second guest bathroom complete the floor-plan.